Many people would like to know more and more about market research surveys that really does pay. As a matter of fact only a few survey market research programs do pay the participants while the majority of them do not. You should be cautious enough to keep yourselves away from the scammers. It could be understood over a period of time on how to rightly identify these frauds. In reality knowledge about market research surveys alone is not enough. One should be having the time and patience to do it efficiently and smartly. These days the surveys are lengthy and constructed so nicely in such a way that the system can exactly figure out if the information provided by you are true or not. It is why there are smart ways of filling out surveys to be really paid for your time. There are not too many people that have adequate knowledge about market research surveys that do actually pay. Only a few does knew and they take advantage of such information. Remaining all others are just scammers that mislead people and try to make the most out of their efforts, time and information. There is enough number of scam companies when it comes to the surveys trade. The concept behind the surveying is quite simple. Companies pay you a nominal amount for the time spent by you in providing your suggestions and views. There are some agencies that play intermediate role in between the companies and the participants. They have a huge list of members for the companies to award them the surveys in bulk. Hefty commission goes to these agencies that mostly pay the least to the participants that too occasionally. Enough details are provided about market research surveys. By now you must be aware of the overall concept and could make out what is really happening in the cyber space in the name of market surveys. It is why it is always good to participate in the surveys of the companies in their own official site itself. 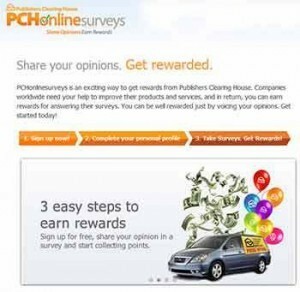 That is the best way to get paid for the surveys. You need to get registered in the company site as a consumer and start to receive newsletters and notifications from the company from time to time. In that way, sometimes you might get useful surveys occasionally and you could be benefited out of these surveys by getting paid for it. More sites you register, the more money that you make ultimately. I’m cerebral palsy my husband work hard to pay all our debts, house payment etc. My dream want HC van include all my family friends ride with us. Want give church We don’t hardly go on a good vacation in our dream. Hope I win to pay off all our debts, pay off house, my health issues. 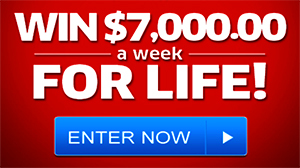 To get to win it all sweepstakes entry #4900. My family will be greatfull no more bills I can pay them. !no more worries again when we can buy food for a whole week and more! !